A&D's incredible, cutting-edge X-ray technology can help food packaging and pharmaceutical manufacturers improve and manage the quality of their products. X-ray systems protect brand image and improve reliability, ease of operation, and serviceability. In turn, these improvements allow for future growth and expansion. At A&D, we are committed to a consultative approach to help you select the technology and configuration that is selected for your application. This is important to ensure a proper HACCP program, which helps prevent contamination. X-ray inspection in food packaging and pharmaceutical applications is growing exponentially because of the versatility it provides. The increased dynamic inspection capabilities provide great confidence and increased quality control standards, which allow customers to further differentiate their brand. Meet Steve... a chocolate enthusiast who swallowed a screw the candy maker didn't know fell into the product because they weren't using X-ray inspection. Watch the ProteX X-ray system detect foreign materials in packs of raw noodles to ensure quality and safety for Yamachan Ramen. Read the case study here. To learn more about how X-ray inspection can be used to help protect your business, contact us to speak to an expert. 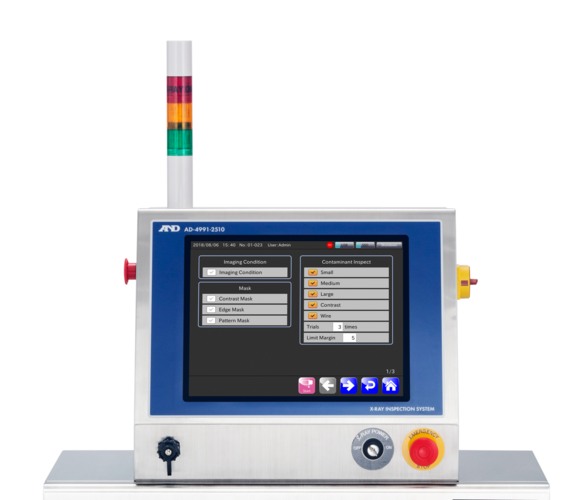 A&D's advanced technology in the ProteX X-ray Series is best-in-class, designed with users and businesses in mind. Built for more than just containments, we also provide mass estimation, shape detection, and component verification. Our equipment is the smallest in class to allow for easy in-line integration with minimal reconfiguration of existing equipment. A 15-inch color touchscreen provides users with a vibrant screen for viewing high-resolution imagery. Minimal inputs from the user makes setup and changeover quick. For manufacturers who need product inspection systems within a couple weeks. Reject classification allows the operator to see trends in real time and correct issues upstream from the X-ray. Metal, including ferrous, non-ferrous, and stainless steel can be detected via X-ray, even when inside foils. This is important in almost all manufacturing industries, as components can break at any point during production, and should that happen, the product should be rejected before final packaging. Unlike some of the other contaminants, flavor or sugar clumps may not be much of a health hazard, but they do negatively impact the experience consumers have with your product or brand. X-ray detection can find inconsistencies such as these to improve your consumer's experience when it matters most. Glass contaminants, including glass shards, can be particularly important to detect when producing products with glass containers, especially in the food and beverage and other consumer packaged goods industries. Due to the use of plastic in a variety of packaging and manufacturing applications, detecting PVC and TFE (Teflon) plastic is very important. From gaskets or plastic handles lost during production, to plastic fragments that may break during packaging of your product, detecting PVC plastics can be an important part of your X-ray processes. Calcified bone contaminants are most often found in the meat, fish, and poultry space, but they may also impact industries such as the fresh produce industry. In scenarios when the total weight of a product is acceptable, X-ray can be used to visually inspect and reject a product if there is missing product inside the package. X-ray can be used to find inconsistencies in products that should be rejected, like broken or incomplete products. In instances where the product shifts during the packaging process, it may be important to check the seal of the product. Products with clips and oxygen absorbers can be masked to check for presence and avoid a false detection. Because of the wide variety of contaminants that can be detected with X-ray, it can be used in a range of applications, including food and beverage, pharmaceuticals, and consumer packaged goods. 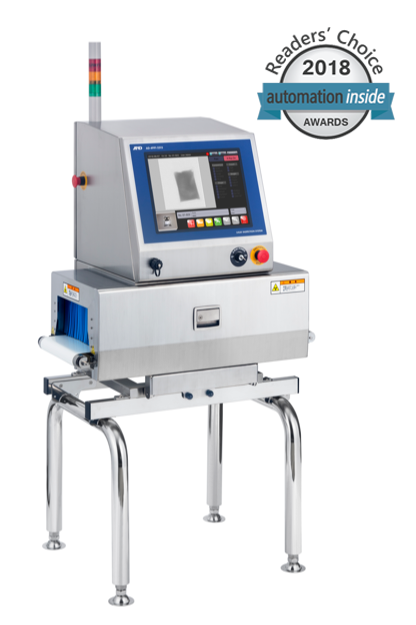 For wet and dusty environments, A&D's ProteX X-ray system features a sanitary design that makes cleaning easy. The interior of the X-ray equipment is also designed for your sanitary needs.